Carlsbad, CA (September 28, 2014) – It has been a goal of ours at Watkins Landmark to own our own building since shortly after the day we opened in 2004. After many years of hard work and growing our company, we finally have a building we can call home. While Septermber 27, 2014 was our move in day, we will not be fully up and running until Tuesday, September 30, 2014. Please call our employees on their mobile phones if you need to be in contact. Thank you for your patience. Watkins Landmark Construction builds projects that stand out in their surrounding communities as “landmarks.” With every project it builds, the company seeks to satisfy its clients not only at a quality, economic, and functional level, but also on a personal level. 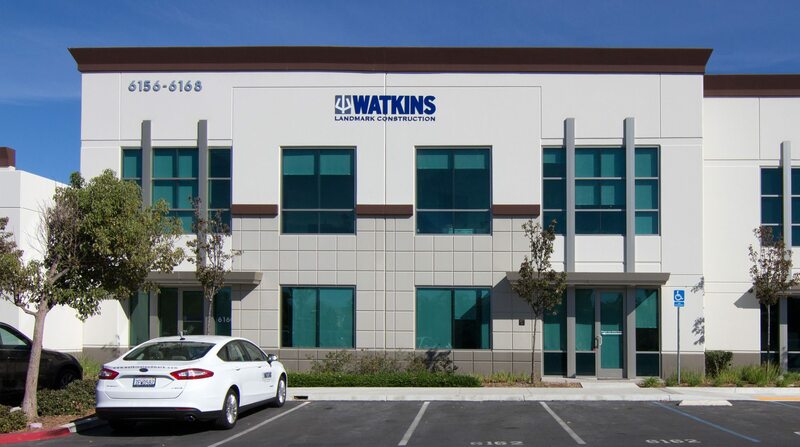 Watkins Landmark Construction proudly adheres to core values that include Trust, Integrity, Quality, Safety, Respect, Persistence, and Teamwork, resulting in projects that meet the only standard acceptable to its leaders: perfection.